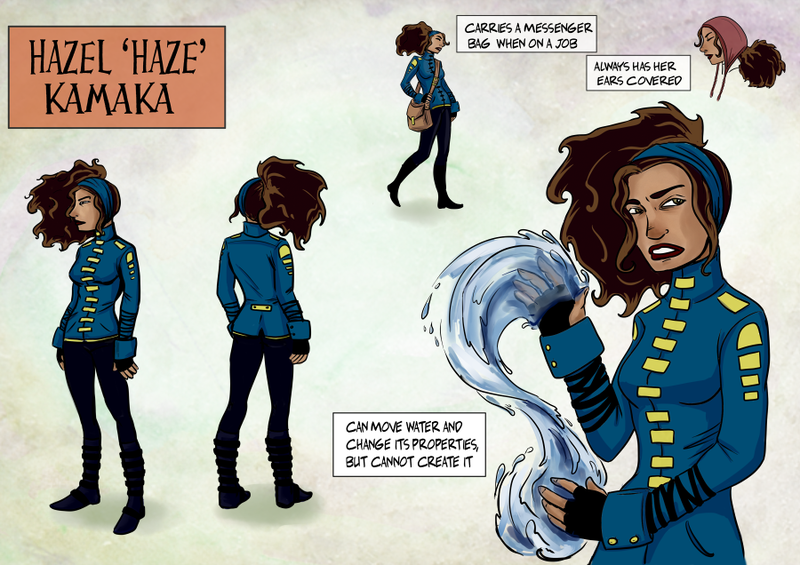 Haze makes her living as a type of underground courier. She'll deliver or pick up whatever you need, wherever you need, no questions asked. She came to Void as her boss expanded his business operations. She is a loner, and does not have close relationships with people, although she seems quiet fond of her goldfish, Rah. She is very level headed and values self-control. Her favorite past time is reading. Haze is a water mage. She can change the properties of water to suite her needs. She can't move large amounts of water, and she can't move it with enough force to do much damage to an opponent. She also can shape-shift into a shark. She rarely does this as she avoids large bodies of water, and prefers to live in land locked areas. She is not an expert fighter, but she can hold her own against your basic street thug.